Industry Interview: Daniel Schipani of Detail Guardz! Industry Interview: Steve Clingan from Vapor Systems! Industry Interview: Dave Patterson of Lake Country Manufacturing, Inc.
Industry Interview: Matthew Banach of 303! Industry Interview: Jason Cox of Scangrip! 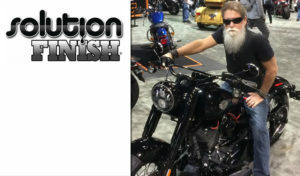 Industry Interview: Chris West of Solution Finish! Industry Interview: Jeff Brown of Griot’s Garage! The New Lake Country Facility!